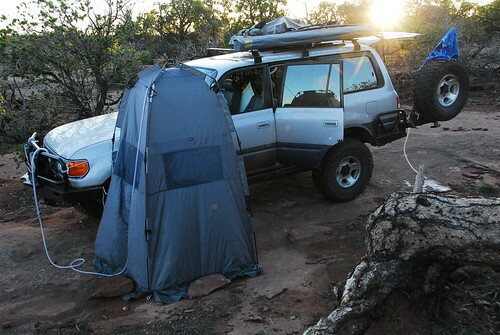 cargo space and was clumsy to operate while taking a shower. 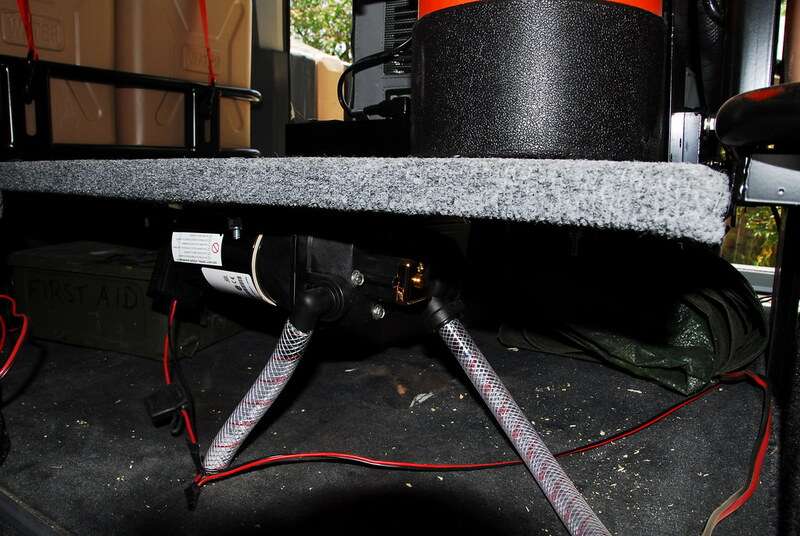 I know of two models that use use the hot engine coolant to heat water (heat exchanger). Helton and Twine. 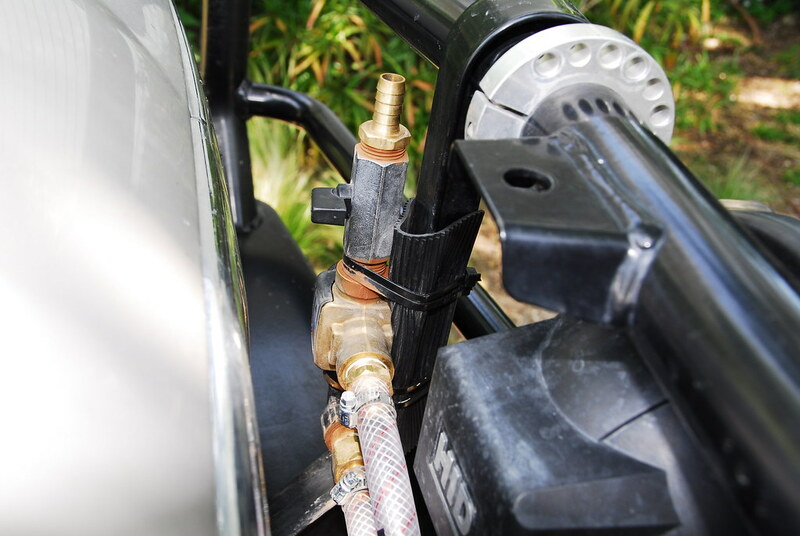 I chose the Helton Hot Water Kit because the all the hose inputs and outputs are on the same side. 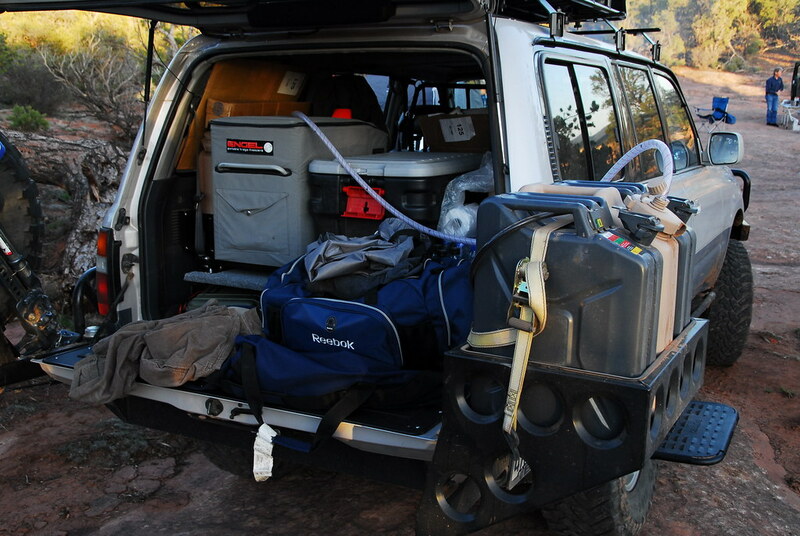 The goal was to have a shower where the water heater, water pump and water were all on board the vehicle. I wanted to use the system without opening the hood. 3 Barbed Hose Reducer, 3/8" to 1/2" Part: SEAFIT 139952 – Helton uses 3/8" connectors. Needed to adapt to 1/2"
1. I need to add a valve to completely drain the system. 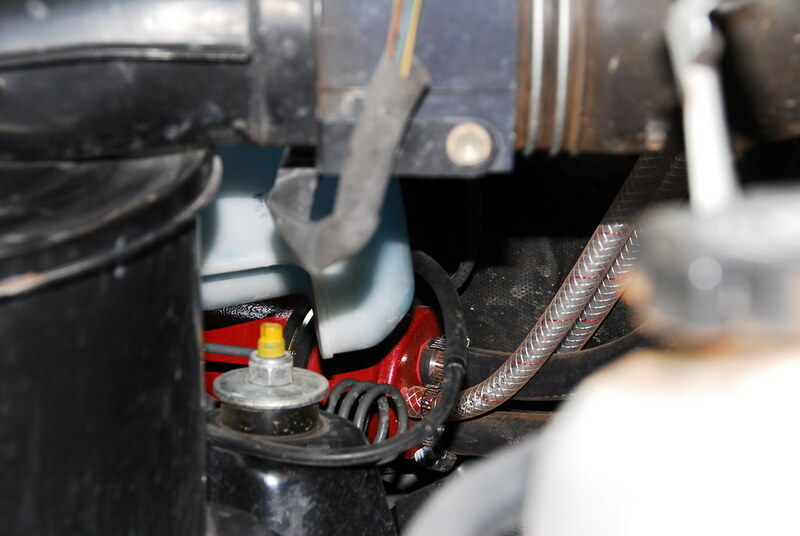 If water freezes in the heat exchanger, it could cause it to crack and create a leak in the engine cooling system. 2. The tubing that was attached to the shower sprayer was not strong enough to withstand the pressure from the electric water pump. I replaced it with with 3/8" tubing from West Marine. 3. 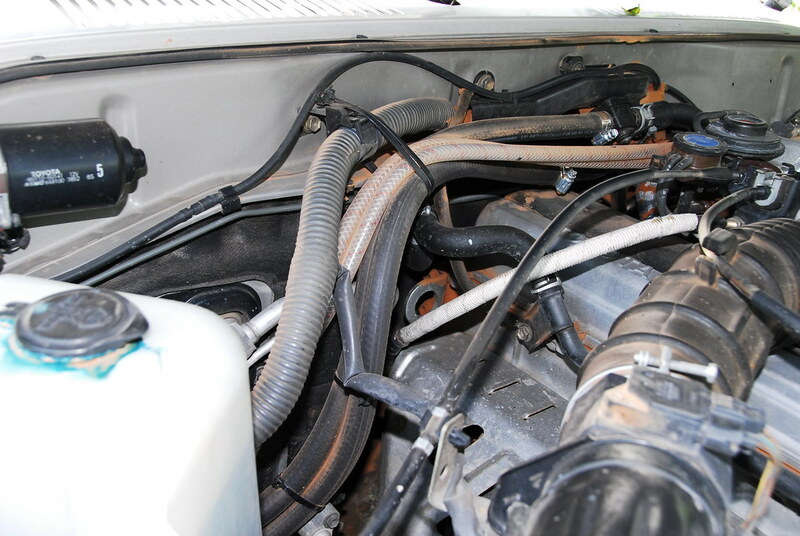 The standard hose clamps on the fresh water system under the hood, appear to loosen with the cycle of heating then cooling which causes very small leaks. Re-tightening fixes it, but I need a permanent solution. 4. 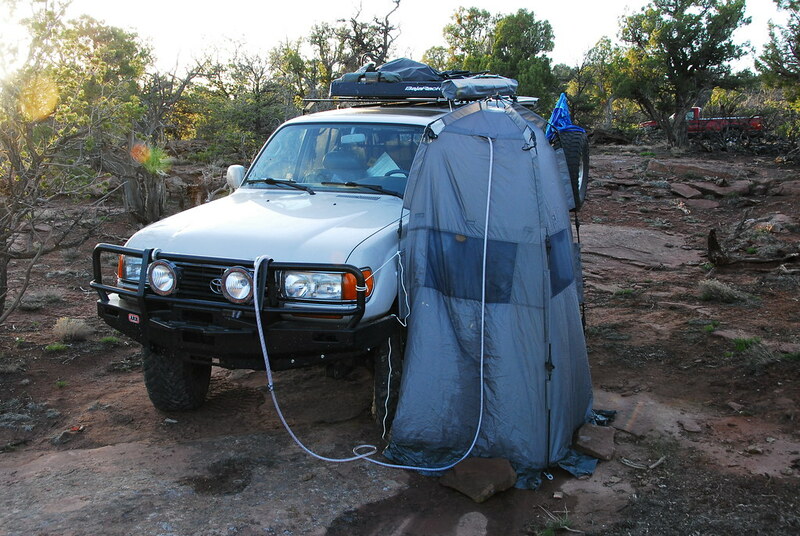 I need some type of quick connect for the shower hose to the truck. 5. Need to install manual throttle.